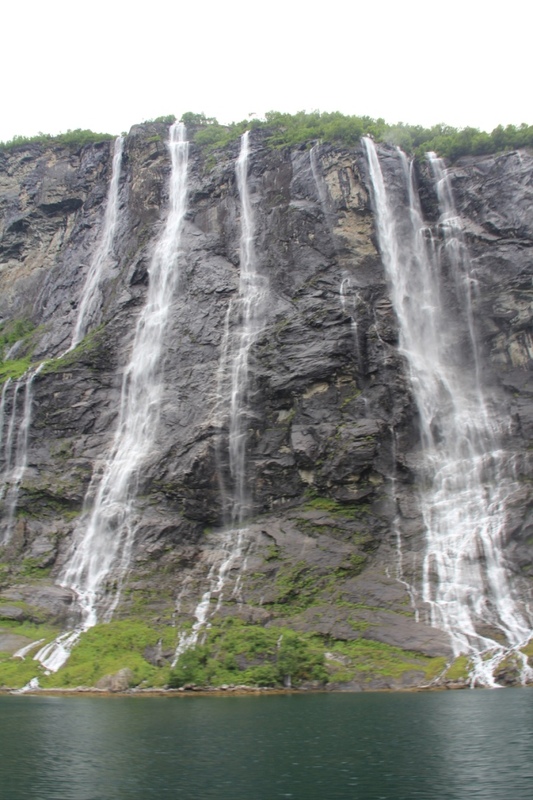 My husband and I decided to go on a day trip from Ålesund and visit Geiranger. 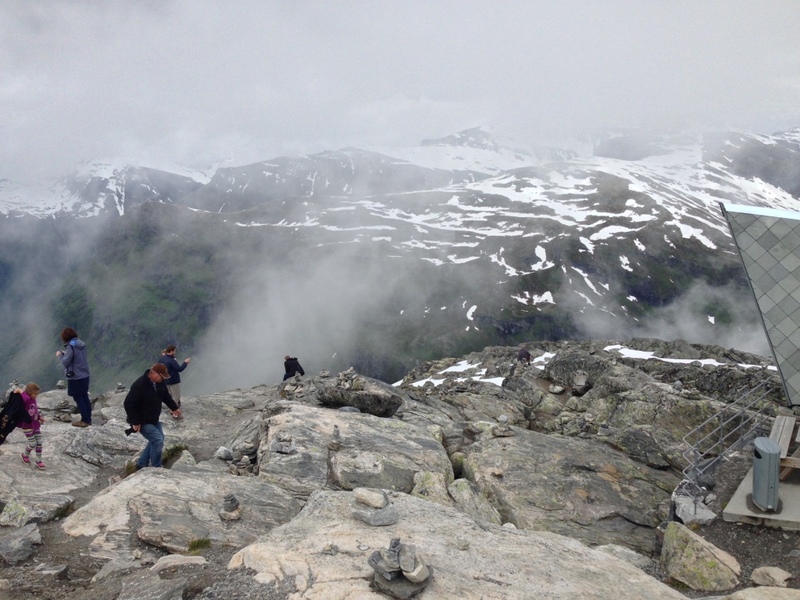 On the way to Geiranger, we got the opportunity to drive the Troll Steps or Trollstigen. 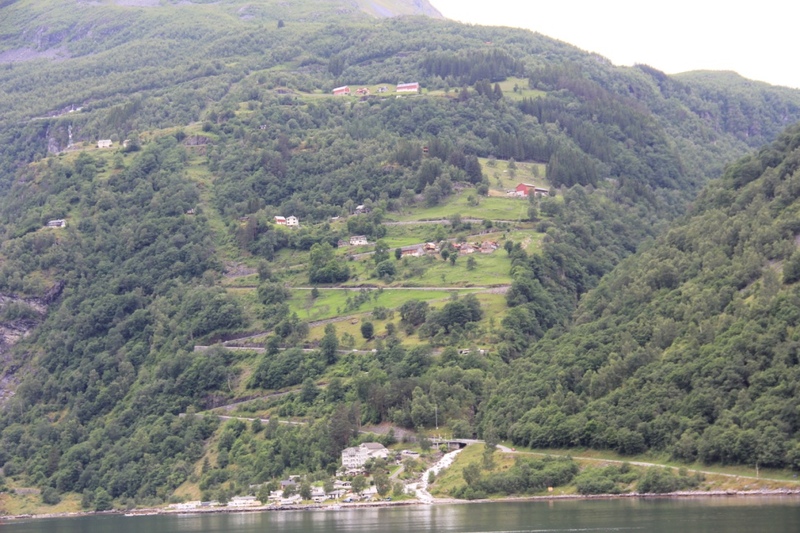 The Troll Steps is a winding road that dizzyingly goes down a mountain into the Geiranger Fjord. From a distance, the road looks like steps… big enough for a Troll to climb. Needless to say, my husband loves driving and really enjoyed this road. After we found ourselves in Geiranger, it was instantly breathtaking. Very beautiful along the fjord with the cute houses on steps up the mountain and vibrant sea port with shops, restaurants and boats. Many of the stores were geared towards tourists with troll and moose themed items. Not really my style but it was fun to browse. We walked around a bit and then settled down to eat at the Brassierie Posten for lunch. The day was a bit breezy so we had most of the deck to ourselves overlooking the fjord. 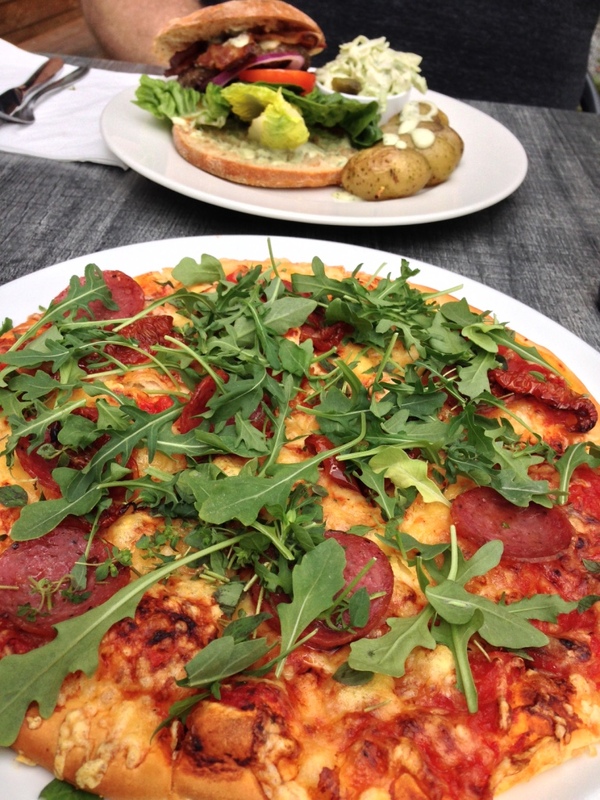 We enjoyed pizza and burgers but the real star of the restaurant was their “Plate” appetizer. 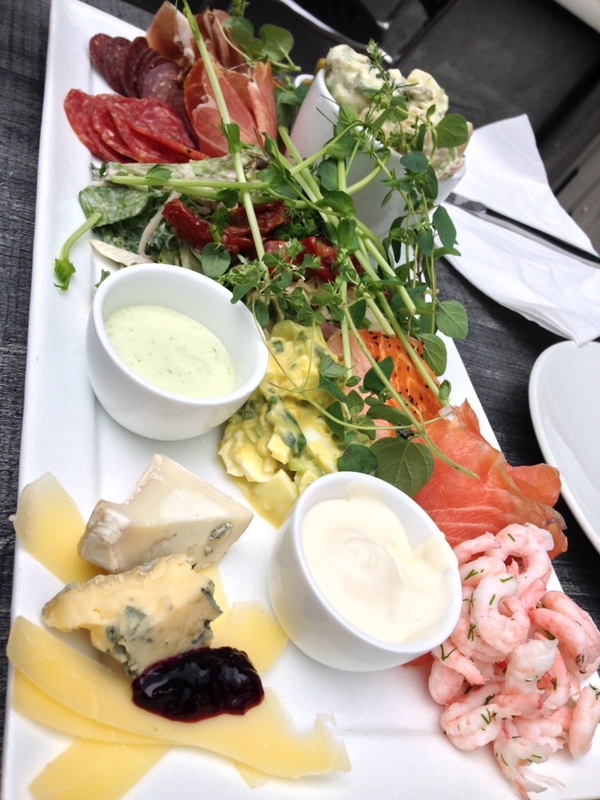 It featured assorted local meats, cheeses, shrimp, salmon and salads (on left below). Before we got back into the car to visit the mountains, we walked about a café devoted to chocolate. 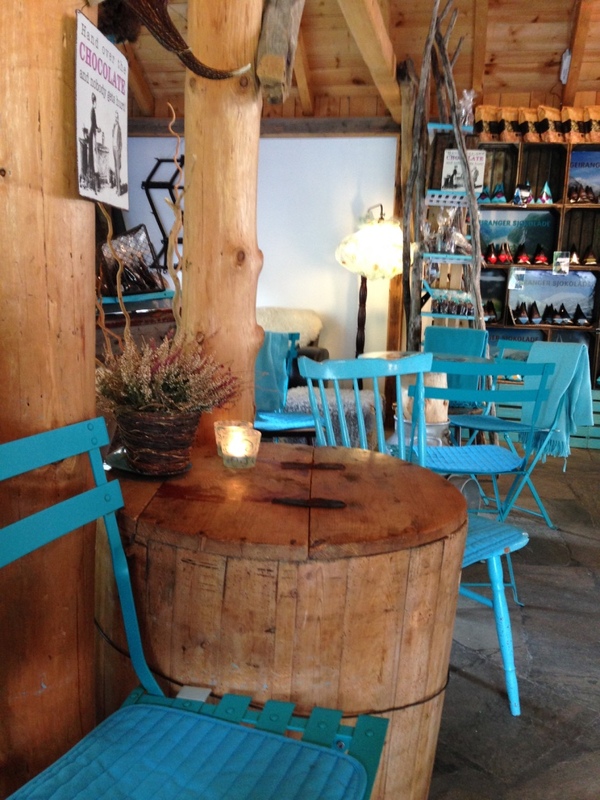 So, obviously, I needed to stop in to this incredibly cute café. I had a lovely dark hot chocolate at Geiranger Sjokolade. 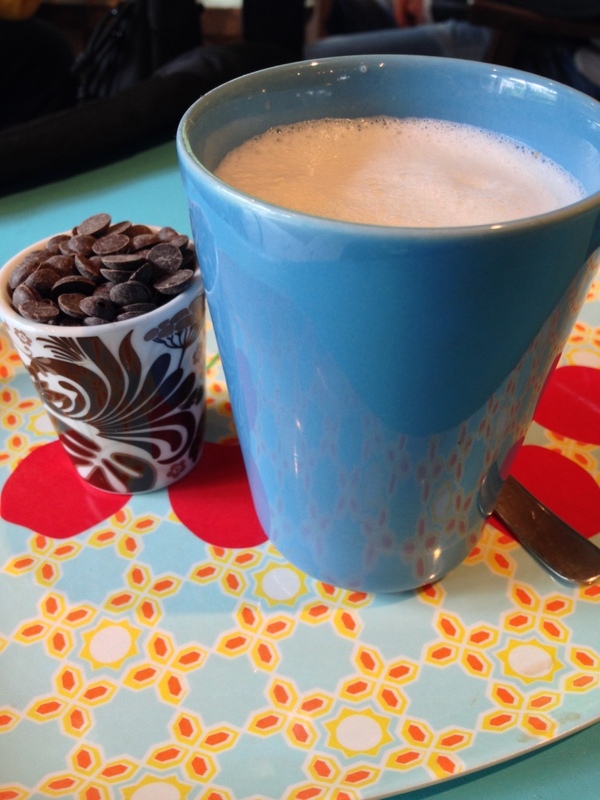 They served the hot, frothy milk with dark chocolate on the side to mix into the mug. The server assured me that if I needed more chocolate, he would be happy to provide it but this amount was perfect. Lovely drink before our head into the snowy mountains. Yes, I said snowy mountains. Even though it was a very comfortable temperature in the fjord, the mountains were still snow-capped. We decided to jump back into the car and visit Dalsnibba. Dalsnibba is a mountaintop with lovely scenic views. We noticed while at Dalsnibba that there were many stacked rocks. So, we decided to build one of our own. We found the smallest possible rocks and stacked them on an edge of a rather large rock. Chances are… our little rock pile fell over minutes after we left but we did get a photo of it (below to right). Interestingly enough, after I came home, I researched about the stacked rocks. It seems that they were often used as landmarks during travel. 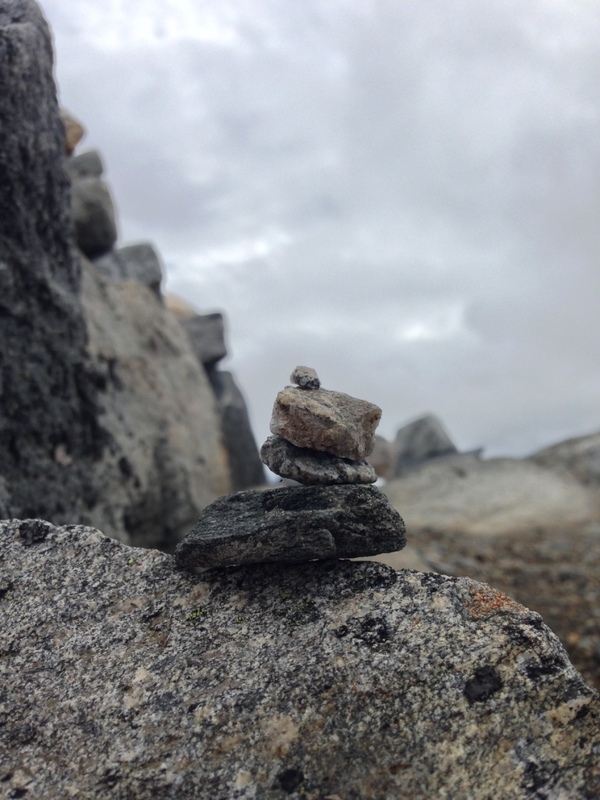 Another website indicated that people stacked rocks in remembrance of someone or to make a wish (the higher the better). After Dalsnibba, we made our way back into Geiranger to take the car/people ferry through the fjord to Hellesylt. The ferry was amazing – a bit expensive – but well worth the trip. It was a 1 hour cruise through the Geiranger Fjord. We were fortunate to see several spectacular sites including the Seven Sisters Waterfall. 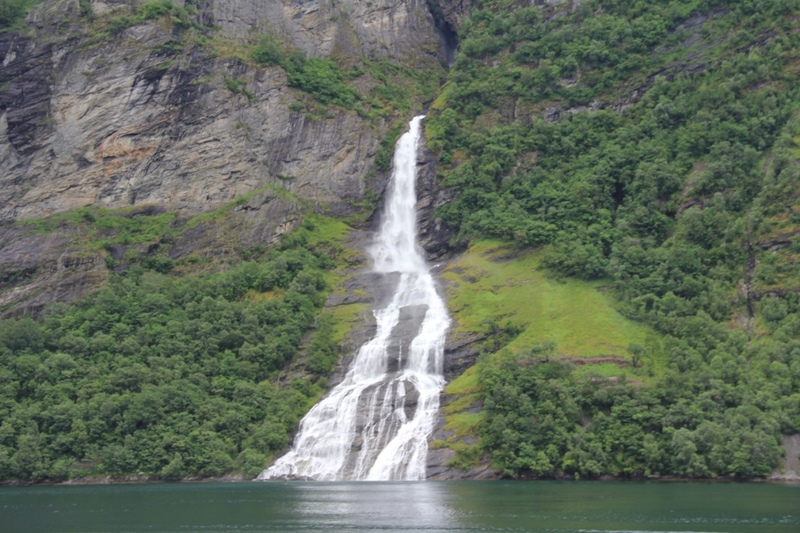 According to Wiki, the seven sisters playfully dance down the mountain while the suitor (the waterfall across the fjord) flirts from across the fjord. Oh so romantic and lovely. 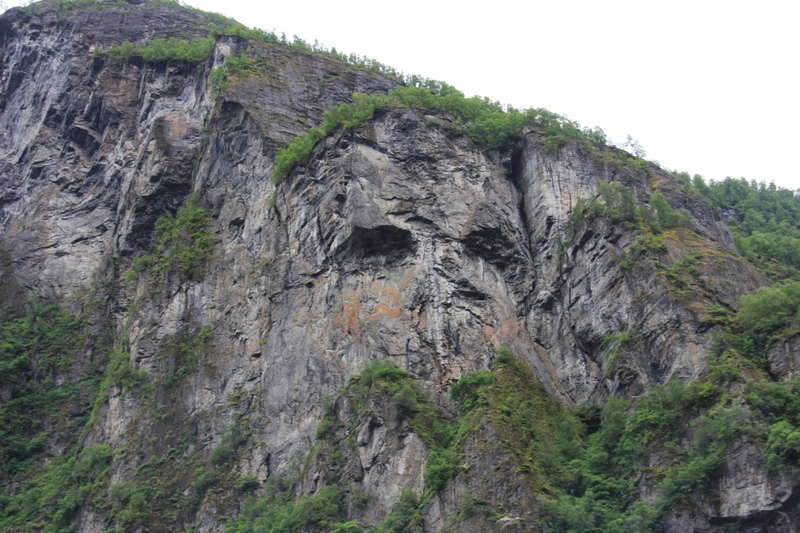 Another cool site on the cruise down the fjord was the troll face in the mountains. I’m not sure the legend on this but there is no mistaking the face. We picked it out before we even heard the ferry announce the English translation about the site. Can you see it? 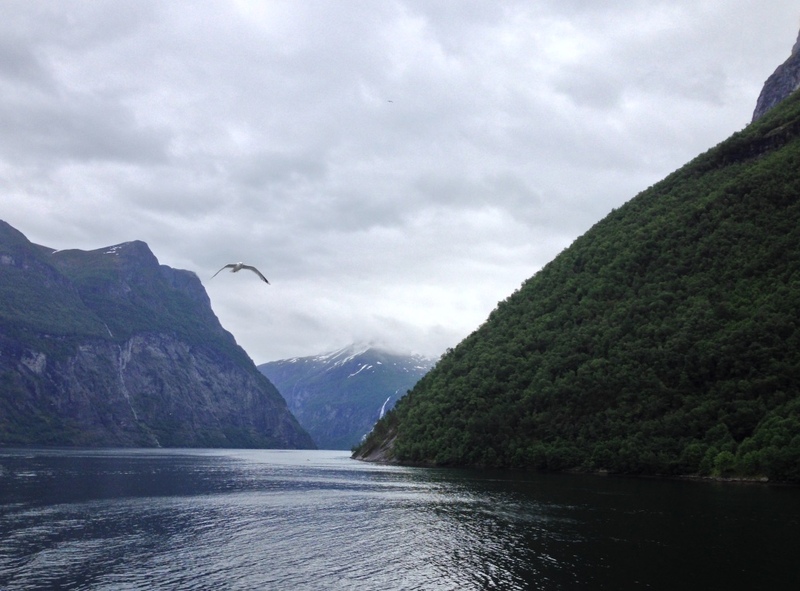 The fjord was enchanting and the end of our Geiranger tour. Absolutely beautiful and highly recommend it to anyone visiting Norway. Next Hunting for the BEST Burger in Oslo! First stop is Burger Bar.